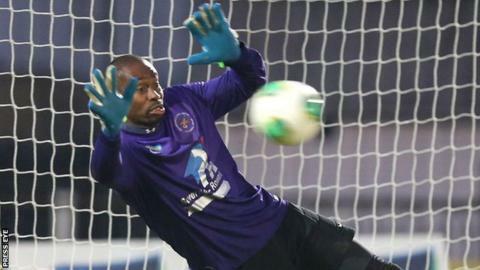 Former Barbados goalkeeper Alvin Rouse has made a return to Ballinamallard United after spending a season at Dungannon Swifts. The 32-year-old made 67 appearances during his first spell with the Ferney Park club. Rouse was the first signing for Mallards manager Whitey Anderson following the County Fermanagh team's promotion to the Premiership in 2012. Ballinamallard finished ninth in the league last season. Anderson has already signed five new players for next season, including former Glenavon and Glentoran midfielder Shane McCabe.